An LED lighting firm in which former Tyndall National Institute CEO Kieran Drain has a small stake has developed 'healthy' LED bulbs which disinfect environments such as hospitals. The company has also developed LED lights for homes. The lights do not contain blue light that affects sleep-promoting melatonin production. Products by Soraa - which was founded by Nobel prize winning scientist Dr Shuji Nakamura, an LED lighting pioneer from Japan - are also being used by hotel chains, high end fashion retailers including Louis Vuitton, and restaurants and coffee shops. Its lighting has been adopted by London's V&A Museum, British tailor Gieves & Hawkes, and Madame Tussaud's waxwork museum in San Francisco, as well as the Palace of Versailles in France. Drain, a Co Antrim native who lives in the US and holds a PhD in industrial chemistry from Belfast's Queen's University, became COO of California-based Soraa last year. "LED lighting is an $50bn-plus market and these lights render colours more vividly, as they would appear in natural daylight. They also differentiate how shades of white look, which is important in certain environments, and contrasts with how fluorescent or other LED lighting can make shades of white all appear to be the same shade. "The lights also do not buzz, do not contain the harmful blue light and do not produce a stroboscopic effect - like slow flashing - that can sometimes cause headaches or eye strain." "Our revolutionary violet LEDs can reduce the spread of bugs like MRSA in hospital environments. They provide a disinfecting action while delivering natural white light. We hope they'll help usher in a new era of white light disinfection in an effort to create healthier environments," he said. Soraa employs 180 people and is backed by Indian-American billionaire and Sun Microsystems co-founder Vinod Khosla's leading US VC firm Khosla Ventures. Drain said the firm is focusing on increasing its presence in the European market, which he expects to be lucrative for the business, and that Ireland could potentially be a strategic location for a future office or assembly operation. 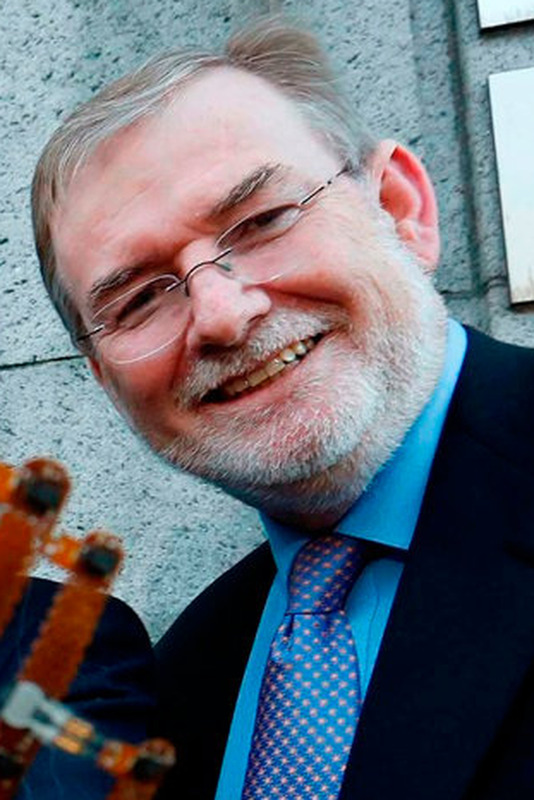 With a wealth of R&D and commercial experience under his belt, he retains close links with the academic community on this island, and is chair of the advisers to the University of Limerick's Bernal Institute, which focuses on research in the areas of biomaterials, composite materials, nanomaterials and process engineering.